There’s such a thing as too many options. If you’re 1 of those ridiculously amazing humans who can easily look at several hundred bunches of the same type of rose and quickly pick the best, then this advice probably isn’t for you. The rest of us would probably stare for way too long and then (out of sheer frustration) grab whatever kind looks right. That’s a little bit what it’s like to choose car insurance. There are just so many insurers out there offering car insurance that it can be a little overwhelming to compare quotes and choose the right policy for you. 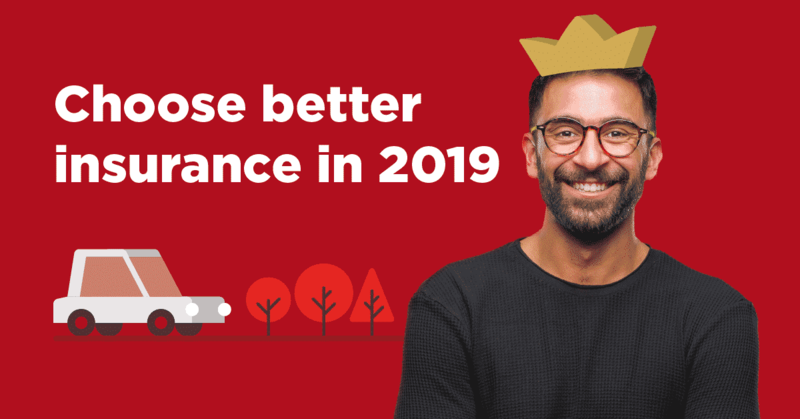 To help make it much easier we’ve drummed up a few failsafe ways to help you shop around and compare quotes so that you can select the right car insurance for you. Comparing third party car insurance with comprehensive is going to get you nowhere. It’s like comparing a Chihuahua with a Doberman. What you want to do is compare quotes for the same policy type or compare policies against a list of things that you want included with your ideal cover. If you already have cover, then use your policy as a guideline and make sure the quotes stack up (or are better) than what you currently have. An excess is something that comes with every single car insurance policy. It’s the amount that you’ll pay first when you claim (even if the reason why you’re claiming isn’t your fault), so it’s important to make sure that you can afford it. Another thing to note about the excess is that a higher excess = a lower premium and a lower excess = a higher premium. Given that the excess affects your premium and the claims process, it’s super important to factor this into your comparison. While you’re at it, the king also advises you to check your quotes for additional excesses, such as a younger driver (usually 25 years old and younger) excess that applies on top of the basic excess. The comprehensive car insurance setup is pretty similar amongst car insurers in South Africa (give or take), so insurers tend to highlight the little extras that make them different. This usually comes in the form of discounts, benefits, and products you can add to your cover. You see, the king gives you an increasingly bigger discount for every car you comprehensively insure with them, up to 20%. You also get 24/7 access to assist benefits, including roadside, home, and medical assist services. Oh, and we should probably mention that we’ve created a range of extras that you can add onto your policy for a little help when you need it. Like our shortfall cover, R1 insurance for an expensive portable possession, like your bicycle, as well as the king’s cab, our personalised chauffeur service. These are the kinds of extras that you’re looking at when you compare policies from other insurers. Once you’ve got a shortlist of the insurers you’re thinking of choosing from, based on whether they offer the type of cover that you need, benefits that are relevant to you, and an affordable excess, you can take a closer look at the actual companies. Pay attention to who they’re backed by (we’re backed by Munich RE), what their reputation for service is, what their reputation for handling and paying out claims is (ours is amazing, according to you guys), and if there’s anything special about them that would be good for your needs. That last bit is the wow-factor, which could be quite instrumental in your decision-making process… And we’re not shy to talk about ours. You see, we offer decreasing premiums. This means that we decrease your car insurance premium every month in line with the depreciating value of your car, so you end up paying much less over time. Which is a pretty big deal. Ultimately, when you compare quotes you’ll discover whether the insurer and policy is a good fit for you and suits your budget. Why don’t you take the first step right now and get a quick quote here or call our royal client care team on 0860 50 50 50.